Hey guys! Hope you're all well. And welcome to this, let's say, the official first post of 2016. 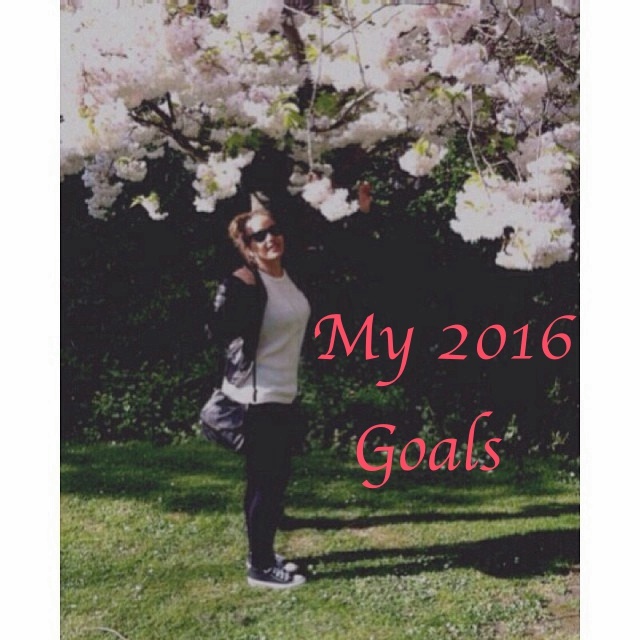 I wanted to share with you, my 2016 goals. I've always been one to never stick to my new years resolutions, mainly because they were either unrealistic or just stupid stuff like 'do not spend money on make up this year'... As if, ha! So this year I decided to set myself a few of goals and I am aware that a couple of months into the year I probably will forget that it was something I was working towards but I'm feeling really motivated with the new year ahead of us. So I wrote down my 5 goals for this year in my little blogging notepad so I could share it with you guys now! The first time I had a driving lesson was in the summer of 2014 and if I recall properly I was 17 going onto 18 in a month, it was in Portugal as my dad thought I should have my first lesson with people he knew and trusted just to see how I would get along. I was 18 and I can promise you it isn't as simple as many think if you have no clue what you're doing. I have always been in love with the idea of being able to drive one day so I was so happy when I turned 18 and could actually start my lessons here in the UK. I took my lessons for a couple of months and then went on to booking a theory test, little did I know that I wasn't as prepared as I thought I was, so unfortunately I failed the exam and that was enough to demotivate me to try again, especially because I also had a lot going on in my life at the time as well. So I stopped until now. Therefore I have actually gone a while without driving and have now started doubting myself, which I hate. Yet I am looking to do my best to get my license this year and hopefully before my 21st birthday! So fingers crossed and time to put my nose in those books & do some questions online. There is nothing I want more than to do my utmost best for myself and my future. I've always wanted the best for everyone around me and the best for me so I could provide for those that need help. However I know that in order for me to get there I will have to try my best in everything I do and so my first step is uni. Although a lot of people say that first grade never counts, it's just to see if you pass or fail and if you're back in September again, I don't want to risk the possibility and nor do I want to just pass, so I am going to do my best for the best outcome possible. Once again, this is something I really can't wait to have more time to do more often. I have written a travel buck list for myself this year (which I will be sharing with you guys soon as well). Because of life limitations, it is really hard to find some time to balance work, uni and travel altogether. But I have made a bucket list and chosen to at least go to two places this year, as this is something I'll speak about in more depth in my travel bucket list post which should be up soon enough. This is something I really aim to succeed in this year. I have put on a lot of weight all in one go recently and I find it hard to feel happy in certain outfits and feel super insecure at times. So I've decided to join a new gym closer to home so I can make way there whenever I feel like going. I also want to set a weekly schedule but I'd have to sit and actually work out when I have time free to get some exercise done. I have also started avoiding junk food and chocolates whilst also introducing a detox to clean my system first. If this has not been enough to show both you and I that I am really trying to get the swing of things here, I have also start going on jogs and coming home to lovely chicken salads. I do believe that a healthy body equals a healthy mind, so I am really looking forwards to bettering myself in this aspect. Whilst trying to balance uni, work, home stuff and making sure I am up to date with my posts, I rarely find time to sit and just watch a movie with some popcorn, hot chocolate and a face mask on... okay perhaps not the hot chocolate and popcorn, maybe some green tea and some carrots. So I need to fit in a day or two within each month where i can just relax and fit in a small pamper evening or a movie with my boyfriend. That's all my goals for 2016 and I hope I can stay true to as many of them as possible for this year and the years to come as well. Hope you guys enjoyed and let me know which goals you've set for yourself this year in the comments below.